Creating a comprehensive estate plan should be one of the most important projects you undertake during the course of your lifetime. After all, your estate plan can protect you, your loved ones, and your assets while you are alive as well as provide for your loved ones when you are gone. At the Collins Law Firm in Malibu, California we understand how important your estate plan is to you and your loved ones which is why we are committed to working with you to ensure that your plan reflects all of your estate planning goals and objectives. What is now known as Malibu was once part of the Native American Chumash tribe’s territory that roughly stretched from the San Joaquin Valley to San Luis Obispo to Malibu. The Chumash named the area “Humaliwo” which later became “Malibu” because the “Hu” is not stressed. The European presence was first felt in the area when a 13,000-acre land grant, known as Rancho Topanga Malibu Sequit, was deeded in 1802. The entire land grant was passed intact to Frederick Hastings Rindge in 1891. Hastings fiercely guarded his land, refusing all attempts to use the land or sell off any of the land. When Hasting’s died, however, his wife May Rindge was eventually forced to start sub-dividing and selling/leasing the land in 1929. The Hastings house, however, is a registered historic landmark and is now part of Malibu Creek State Park, situated between Malibu Lagoon State Beach and Surfrider Beach. May Rindge opened a small tile factory in the 1920s in an effort to avoid the need to sell her land. Although the factory couldn’t make is through the Great Depression, what eventually came to be known as “Malibu tile” is now highly collectible. Malibu Colony, one of Malibu’s most famous districts, was opened to development in 1926. Located south of Malibu Road and the Pacific Coast Highway, west of Malibu Lagoon State Beach, and east of Malibu Bluffs Park, Malibu Colony was one of the first areas with private homes. May Rindge had protected the Malibu coast with only a few wealthy Hollywood stars having vacation homes there. Rindge opened up this small area for development in 1926. Sadly, May Rindge died penniless after spending the majority of her life, and her fortune, fighting to protect the Malibu coast that she loved so much. The majority of the original land grant was eventually incorporated into the City of Malibu in 1991. Malibu is located 30 miles west of downtown Los Angeles along 21 miles of the Pacific Coastline. The city is home to about 13,000 residents, including many Hollywood movie stars, entertainment moguls, and other affluent homeowners. Not surprisingly, one thing Malibu is well-known for is surfing and other beach activities. Malibu residents and visitors alike can enjoy numerous beaches, including Surfrider Beach, Zuma Beach, Malibu Beach, and Topanga Beach along with Point Dume Beach, County Line, and Dan Blocker Beach. If you are a nature lover, Malibu is also home to numerous parks, including Malibu Bluffs Park, Trancas Canyon Park, Las Flores Creek Park, and Legacy Park. Within a short drive you can also visit Malibu Creek State Park, Leo Carrillo State Beach and Park, Point Mugu State Park, and the Santa Monica Mountains National Recreation Area. Arts lovers will also find plenty to do in Malibu. The Malibu Arts Festival, for example, is held on the last weekend in July each year. The Malibu International Film Festival is in another annual event that showcases new films and filmmakers from around the world. Malibu is also a very popular location for shooting films, music videos, and television series. If you stay around long enough, you are bound to become an extra in a movie, video, or television show! The Collins Law Firm is proud to be part of the Malibu, California community and to help the residents of the community with their estate planning needs. Our goal is to ensure that you have an estate plan in place that protects you and your assets while you are here and provides for your loved ones when you are gone. Estate planning is a highly personal, and often sensitive, process. Moreover, your estate plan is not something that is created in one sitting and then forgotten. On the contrary, estate planning is a lifelong process which is why we strive to create lifelong relationships with our clients. As you experience significant life events and changes, your estate plan should be revised to reflect those events and changes as well. Your initial estate plan might focus solely on the distribution of your estate assets in the event of your death. When you marry and/or become a parent, you may decide to add incapacity planning to your estate plan. As your estate grows, you will also want to include asset protection and tax avoidance strategies in your estate plan. Retirement planning and long-term care planning should also become part of your comprehensive estate plan at some point during your working years so that you will be financially secure when you reach your Golden Years. At Collins Law Firm in Malibu, California, our goal is help you protect the people and things that are important to you through comprehensive and ongoing estate planning. 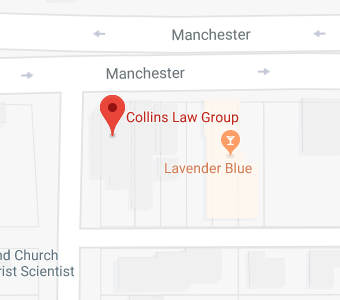 If you have additional questions or concerns about estate planning, or would like to get started on your estate plan, contact the experienced California estate planning attorneys at Collins Law Firm by calling (310) 677-9787 to schedule an appointment.